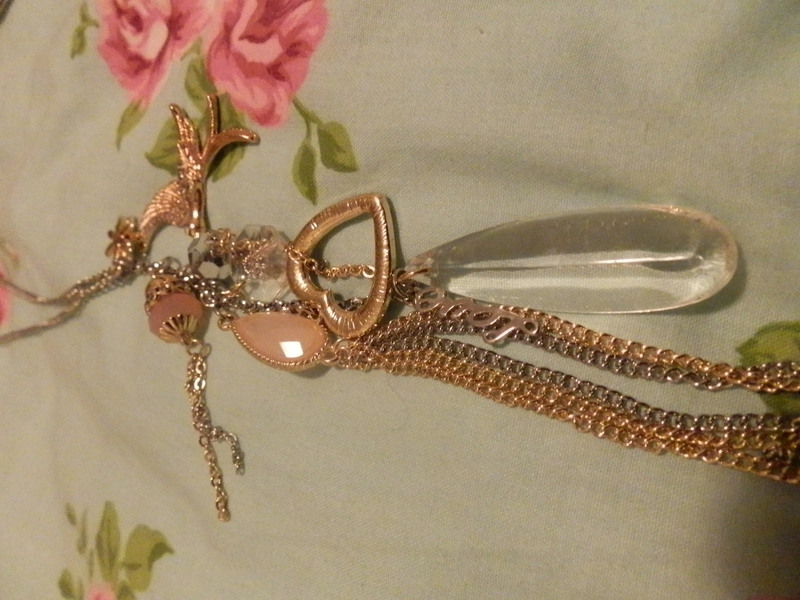 I also picked up 2 necklaces. 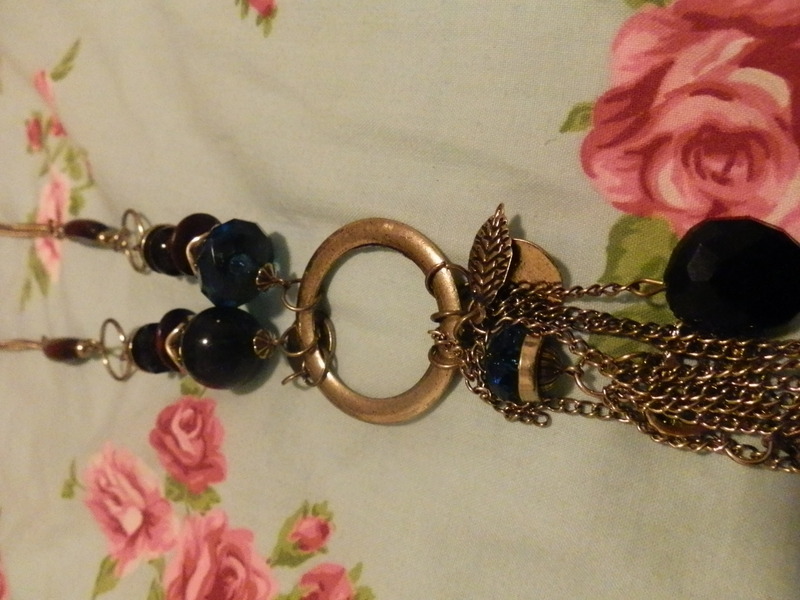 One is blue and green with different charms on it and the other is a little more feminine with charms on it too. 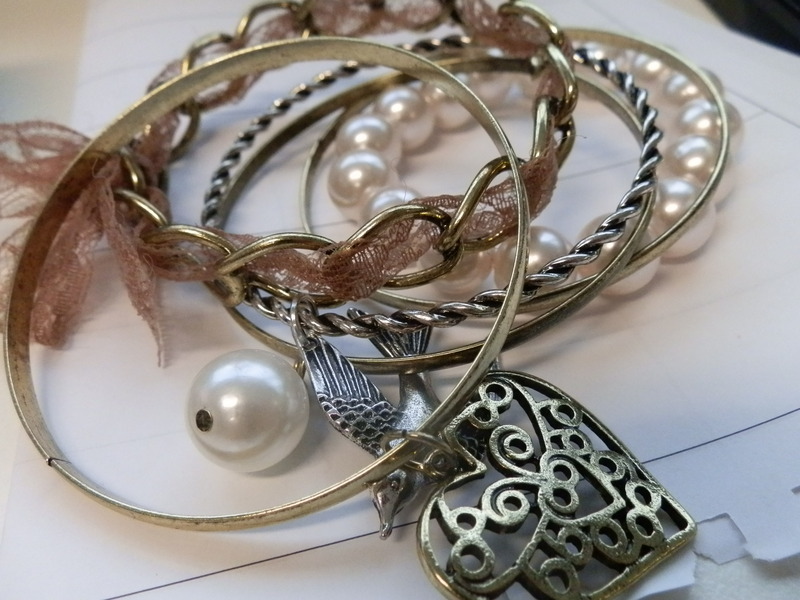 I also picked up this bangle collection with a heart, bird and pearl charms. The label said Antique Rose. It actually does look quite vintage and feminine. I can see it paired with a feminine dress. Happy Tuesday to you all and hope that your long weekend break has given you the motivation to work harder 🙂 Hehe at least its a short week! 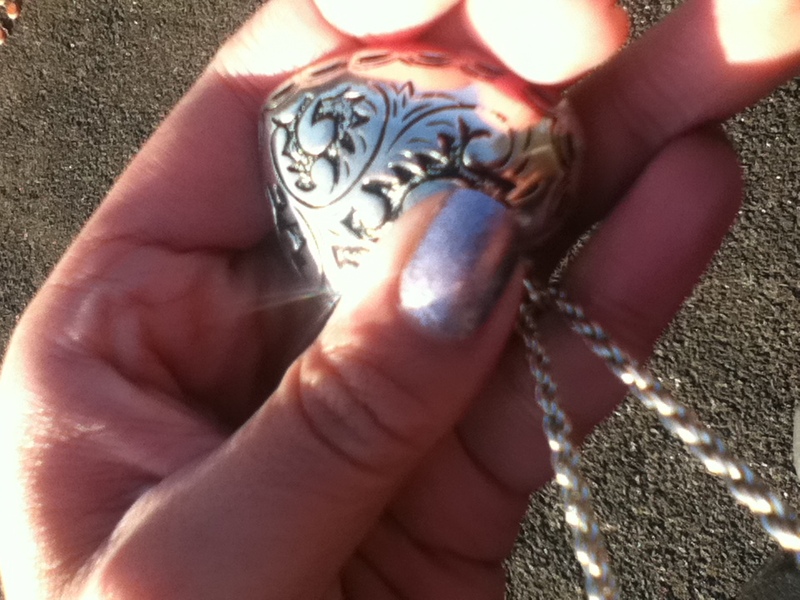 There was thunder and lightning last night after we had the most beautiful summery weather yesterday. That’s Melbourne for you! Four seasons in one day! I have been wearing this tangerine orange nail polish for the past 2 days. 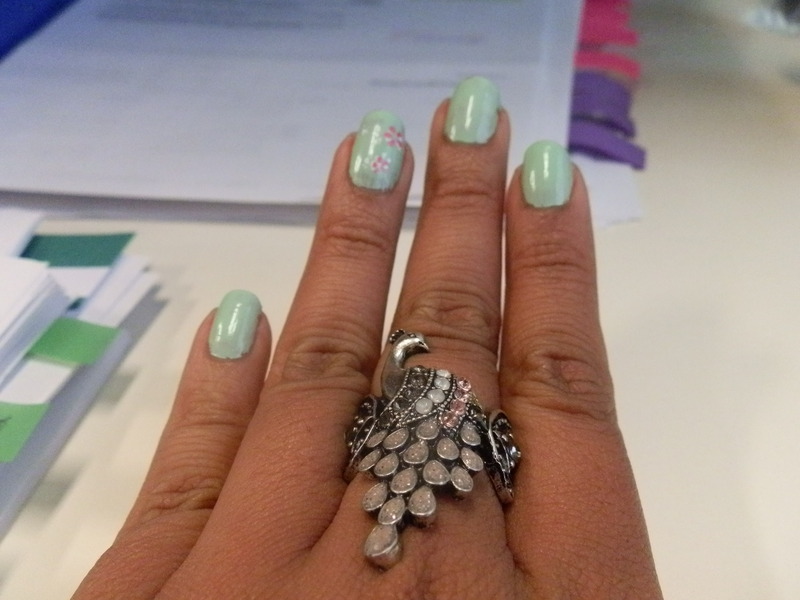 It’s from Rimmel and I love the color of it. 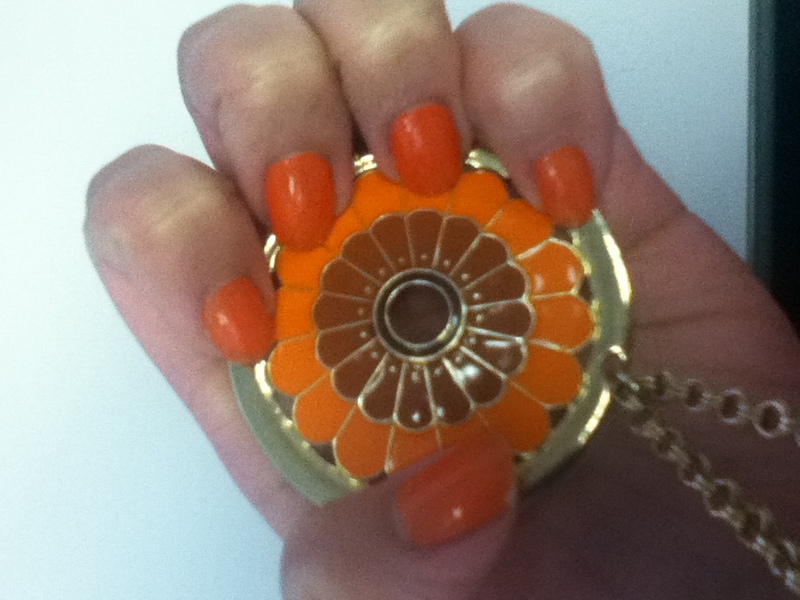 Today, I wore this orange flower necklace to pull my outfit together. 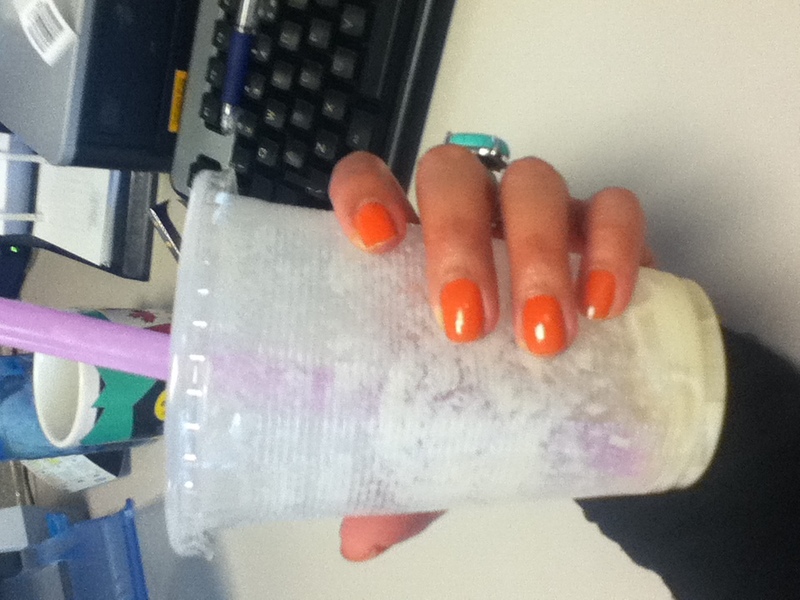 Also I had some bubble tea from Ten Ren’s but the quality wasn’t very good. I had lychee milk tea with lychee jelly. Can’t wait to try the real stuff in Taiwan! 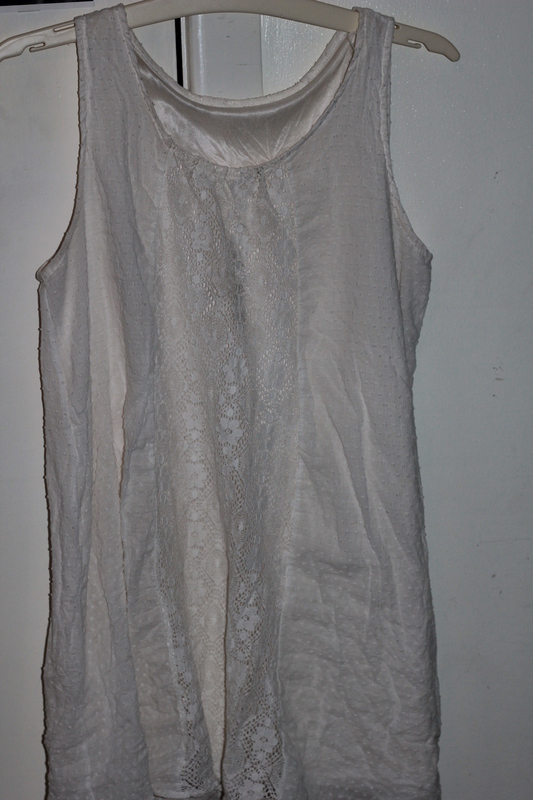 I’m loving lace tops especially for work under a black blazer, it gives some femininity to the outfit. A while ago, a friend gave me this top. 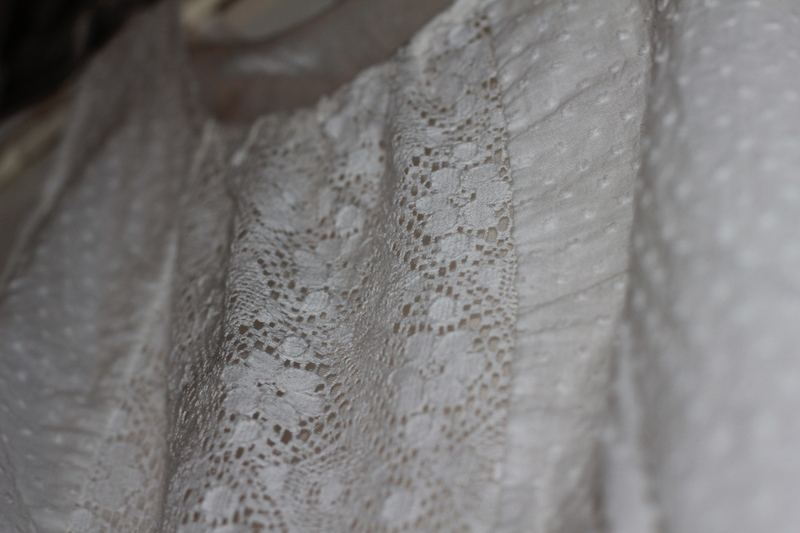 I love the detailing of the front lace panel. It actually used to have ruffles on the bottom but I didn’t like it so I altered them off. So now it’s great for work or paired with some black leggings for a more casual look. 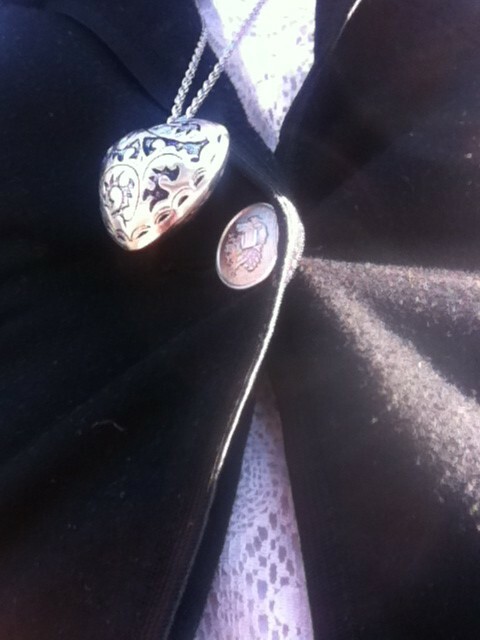 Today, I wore it with a black blazer, lightly pinstriped black pants and with this heart necklace.